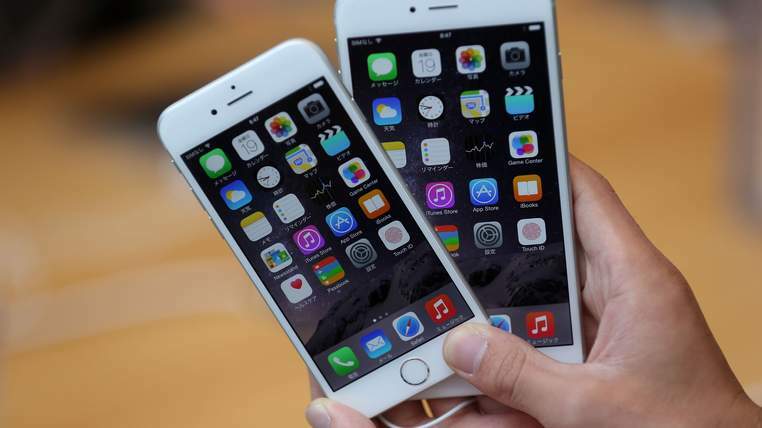 Apple has reported quarterly profits of $18bn (£11.8bn) for the final three months of 2014 – the largest ever made by a public company.The technology giant’s financial performance was driven by a new range of larger iPhones, with 74.5 million handsets sold between October and December. Its net profit far exceeds the previous record-holder, ExxonMobil, who reported earnings of $15.9bn (£10.5bn) during the second quarter of 2012. Experts had predicted that Apple’s total revenues would be $53.6bn (£35bn) for the quarter – but according to Apple’s CEO, Tim Cook, this was closer to $74.6bn (£49bn). According to technology analysts, it took Apple a long time to come to grips with the fact that the public wanted larger screens – causing their market share to plummet. Some investors are concerned about how Apple will perform financially in the coming year, with iPad sales down 22% in the last quarter, and warnings that growth in the smartphone sector is beginning to slow. The iPhone accounts for two-thirds of Apple’s revenue. Although the California-based firm is planning to launch a smartwatch in March, it remains unclear whether the device will be a big hit with customers. Other companies have been disappointed with demand for similar offerings, amid concerns that the battery life is insufficient for a whole day’s use. Apple is currently the world’s most valuable company, with a market capitalisation of $651bn (£428bn).